Tour of the Battenkill 8 Weeks Advanced is an 8 week plan designed for the Cyclist who trains with power, HR (Heart Rate), or RPE (Rate of Perceived Exertion) and can train 13:45-18:45 total hours per week (excluding Rest Weeks). You will need to be able to devote up to 10:00 hours of training on your weekends. TOB is one of the more unique events in the US in terms of its demands. You are going to have to be ready for VO2 efforts on the gravel, big gear work, hard accelerations, and of course you’ll need the threshold power and muscular endurance to get you to the finish line in the front group. This plan was designed taking all of these unique demands into account and it will prepare you for a top performance. 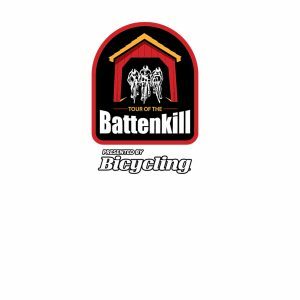 Tour of the Battenkill 8 Weeks Beginner/Intermediate is an 8 week plan designed for the Cyclist who trains with power, HR (Heart Rate), or RPE (Rate of Perceived Exertion) and can train 9:30-16:15 total hours per week (excluding Wk 1 & Rest Weeks). You will need to be able to devote up to 8:00 hours of training on your weekends. Tour of the Battenkill 12 Weeks Advanced is a 12 week plan designed for the Cyclist who trains with power, HR (Heart Rate), or RPE (Rate of Perceived Exertion) and can train 12:15-18:45 total hours per week (excluding Wk 1 & Rest Weeks). You will need to be able to devote up to 9:00 hours of training on your weekends. Tour of the Battenkill 12 Weeks Beginner/Intermediate is a 12 week plan designed for the Cyclist who trains with power, HR (Heart Rate), or RPE (Rate of Perceived Exertion) and can train 12:15-16:15 total hours per week (excluding Wk 1 & Rest Weeks). You will need to be able to devote up to 8:00 hours of training on your weekends. Tour of the Battenkill 16 Weeks Advanced is a 16 week plan designed for the Cyclist who trains with power, HR (Heart Rate), or RPE (Rate of Perceived Exertion) and can train 12:15-18:15 total hours per week (excluding Wk 1 & Rest Weeks). You will need to be able to devote up to 10:00 hours of training on your weekends. 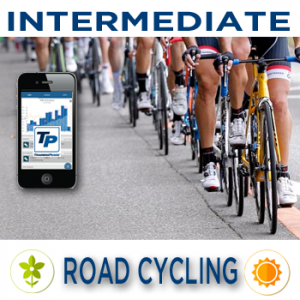 Tour of the Battenkill 16 Weeks Beginner/Intermediate is a 16 week plan designed for the Cyclist who trains with power, HR (Heart Rate), or RPE (Rate of Perceived Exertion) and can train 11:00-16:15 total hours per week (excluding Wk 1 & Rest Weeks). You will need to be able to devote up to 8:00 hours of training on your weekends.